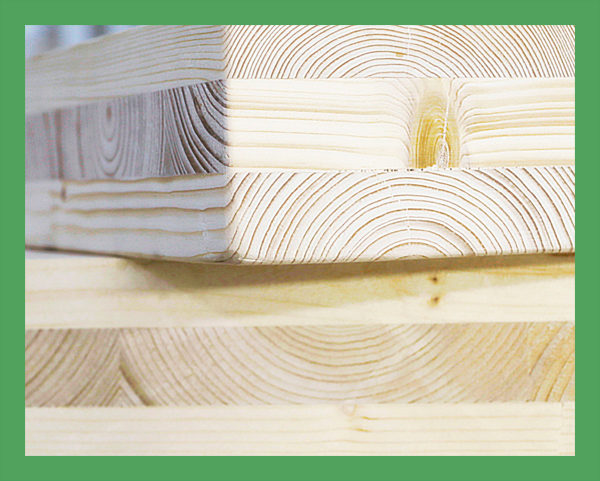 CLT is an engineered wood panel with an odd number of softwood layers placed on top of each other at 90° and then bonded together under pressure to form structural panels with exceptional strength, dimensional stability, and rigidity. Because of CLT’s structural properties and dimensional stability, this mass timber product is well suited to floors, walls and roofs used in mid-rise construction. Because no need for formwork and filling of joints with concrete. No welding of structures. Prefabrication of any single panel to fit exactly. Because of systemic efficiency: prefabricated elements, shorter building time, more delivered per truck, less lifting capacity of cranes on site. Because 3­-4 times more panels delivered by one truck in comparison with prefabricated concrete panels. Learn more about Our Plant. 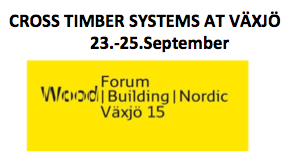 Cross Timber Systems is pleased to announce our participation in Europe's biggest trade shows throughout fall  2015. Cross Timber Systems was very pleased to participate in the first ever edition of RISING Architecture Week that took place in Copenhagen, Denmark from 15 -18th September. Jelgava, August 7th, 2015. Cross Timber Systems is pleased to announce the first project realization!